If you are an avid consumer of media, you might have noticed a few things. We write a lot about common tropes and themes that you encounter so you can begin to notice more details. So let’s do a small exercise: when you picture a hero, what do you see? Strong, virtuous, noble, upstanding. Or it is a generic white guy with five o’clock shadow and a set of rocking abs. For some reason, a lot of our heroes look remarkably similar. Handsome, male, in-good shape, well-dressed, etc. And over the years, this image has changed slightly. It’s why a Victorian era hero looks different than the massive bodybuilders that were 80’s action heroes, and the slightly older, bearded men of today. But some things have stayed the same regardless: the fact that our heroes are overwhelmingly male, white, and heterosexual. For a very long time, this was the target demographic for our media. Men were the ones who decided what to buy and what to make, and the very act of creating, of having the time and privilege to sit down and write or draw, selected for the group that had the money and capability to do so. Other audiences that didn’t match this mold were largely ignored, and often continue to be ignored to this day. You can say the same about villains, where for the longest time we have associated traits that are less desirable with being evil. If our hero is tall and muscular and handsome, than our villain will be short and fat and ugly. Think of George Clooney and Danny DeVito in Batman, and you’ll see a perfect, if intentionally exaggerated example. You can see it in so many movies, like Voldemort vs. Harry Potter, or Palpatine and Luke Skywalker, and Ariel and Ursula. It functions as an easy way for the audience to recognize who is good and who is bad. The attractive one is good, and the ugly one is bad. The question that it raises then comes about how it presupposes good and bad traits by appearance. Our heroes are male and white so that darker skin is automatically being coded as evil, and feminine traits are coded as weak. 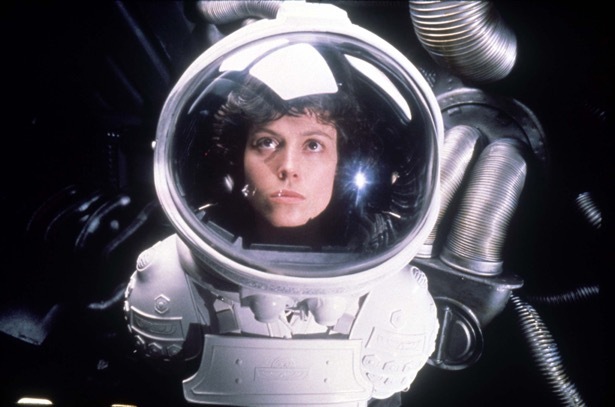 It’s why characters like Ripley (Alien) are treated as an exception and announcements of Muslim actors are being met with praise and are clearly not the norm. It makes us question why our stories are structured in this way, why roles are being cast are so focused on white actors as opposed to literally anyone else. Why older women can’t easily get parts in a movie, and anyone who doesn’t fit the slim and athletic mold is then instantly “the ugly one”. These decision are built on deep-seated assumptions about how our society is structured and how it should be reflected in our media.